When "Denver" and "travel" are put together in a sentence, I think most people immediately think skiing. After all, Denver is very close to some of the best alpine ski resorts in the U.S. Places like Aspen and Vail and Breckenridge and Winter Park are all less than two hours from downtown Denver. But what if I told you that Denver definitely is NOT just a winter destination? There's actually a lot more to the city than just being a jumping-off point for a trip to find fresh powder. Here are five reasons to visit Denver that have nothing to do with skiing or snowboarding. Denver has become the home of craft brewing in the U.S., with dozens of breweries right in the city. Forget the massive Coors brewery in town; it's the microbreweries that really steal the show in Denver. Some worth checking out include Breckenridge Brewery, the Great Divide Brewing Co., Wynkoop, and Wit's End. Just outside of the city you can find New Belgium in Fort Collins, Colorado - now one of the largest microbreweries in the world. Along with the craft brews comes food to suit all tastes in Denver. From fresh, French-inspired cuisine to pubs serving elk and bison burgers, you can find it all here. Denver also has a budding food truck scene, so keep your eyes peeled for everything from peanut butter and jelly food trucks to Southern-style soul food trucks. If you're staying in downtown Denver, there's really no reason to rent a car. The city is incredibly easy to get around. You can pick up a B-cycle from the city's bike sharing program (there are more than 80 stations around Denver), ride the light rail, hop on the free shuttle that runs up and down the 16th Street Mall, or just set off on foot. Unlike some cities where the downtown area empties out after business hours, there's plenty to do in Denver at all times of day. You can visit the gold-domed Colorado State Capitol building on Colfax Avenue; just be sure to climb the steps until you reach the one that tells you that you're exactly one mile above sea level. Other points of interest include the Denver Botanic Gardens (perfect in the summer, since many of the exhibits are outdoors), and the Denver Art Museum. 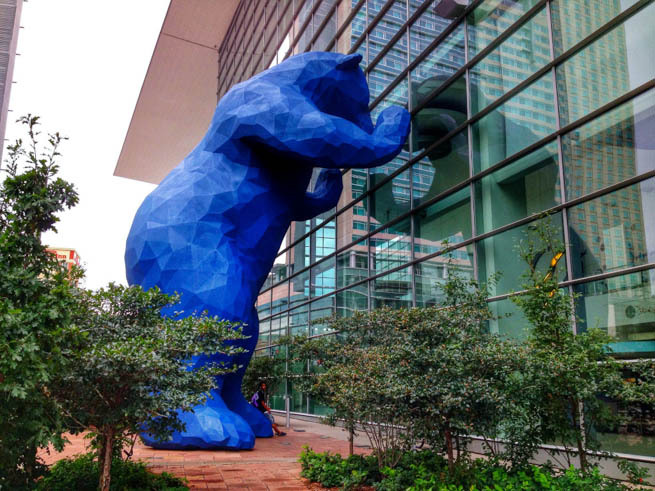 And you also need to stop to see the big blue bear outside of the convention center. And, finally, yes, Denver is indeed very close to the Rocky Mountains. Many of the big alpine ski resorts are still open in the summer, catering to mountain bikers and people who just want to ride the chair lifts up the mountains for some good views. Visiting a ski resort in the summer is actually a great idea. They are rarely crowded, and you can score some great deals. And, even in June and July you may be able to spot some snow high up in the Rockies.